trying to find any info on 1934-40’s feed sack machine cut butterflies. Found a box of 52 cut-out butterflies in my late mother’s cedar chest from that time frame of feed sacks any maybe a pattern to use those butterflies in a quilt. Elisa, This sounds like an interesting project. Did you check Pinterest, Google, and Ebay? 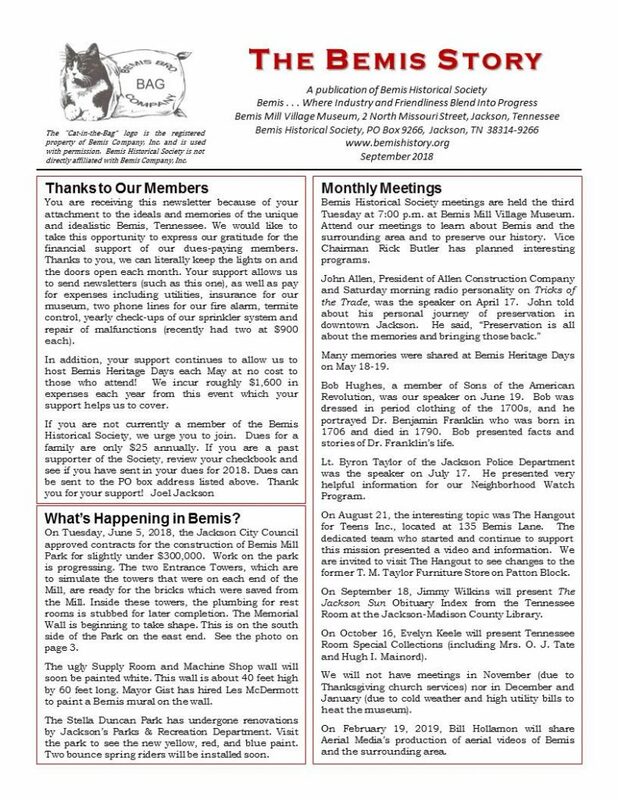 Husband and I are both receiving mailed copies of the newsletter. 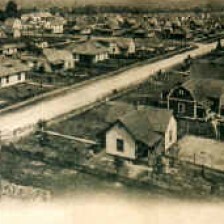 Jackson, TN 38301. Please remove us from the mailing list. 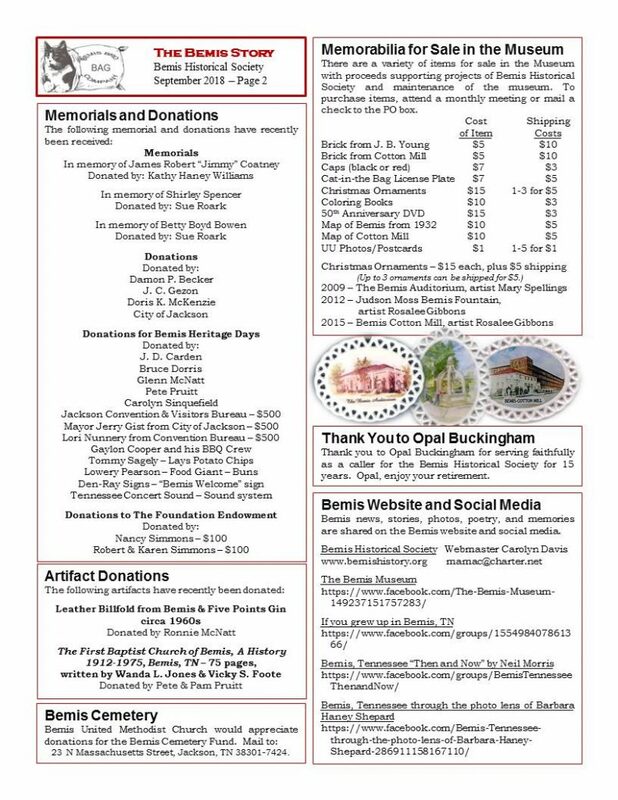 We will be fine with reading the newsletter online. 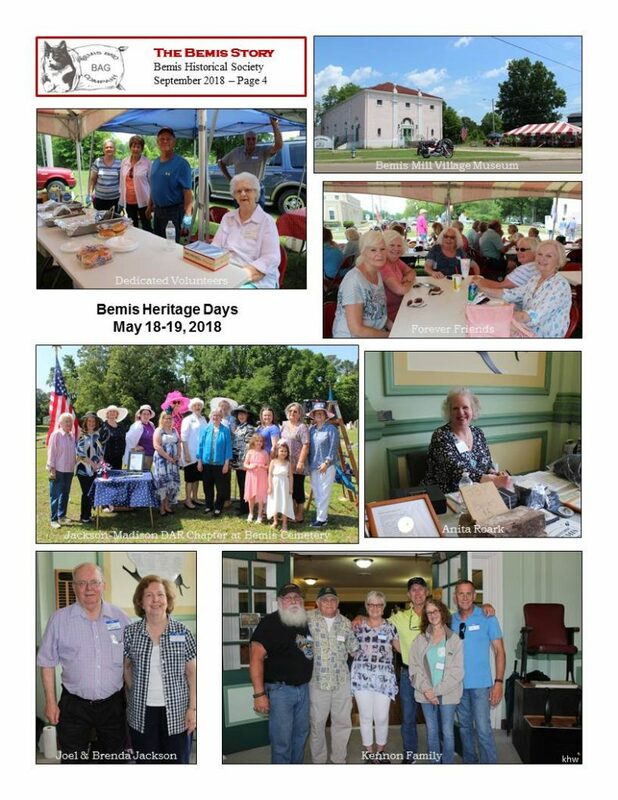 Thank you for supporting Bemis Historical Society. 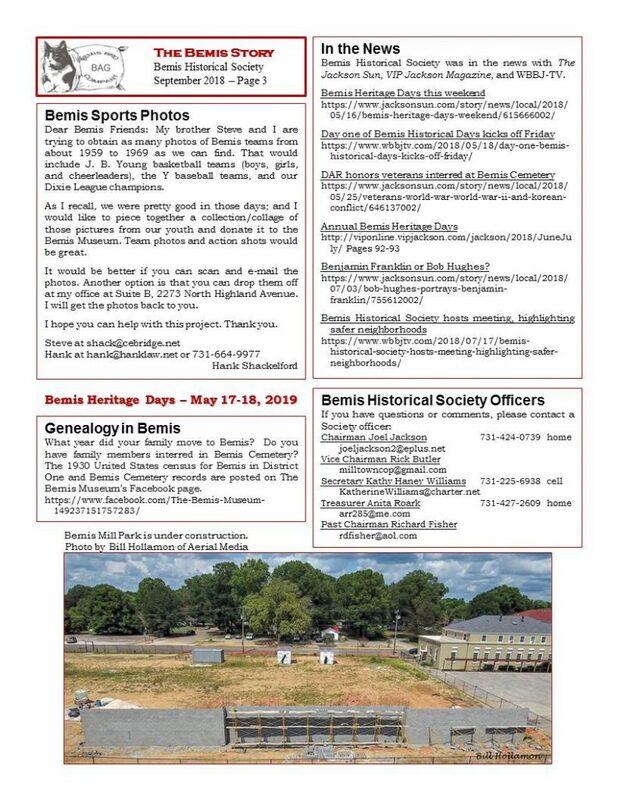 We hope to see you at Bemis Heritage Days on May 17-18. We will update our mailing list.